HOKKAIDO SNOW TRAVEL EXPO 2019 in KAMUI was held in Asahikawa, Hokkaido from February 26th to March 2nd . 43 representatives of travel industry/snow sports industry/media from 15 countries were invited and attended to this expo. 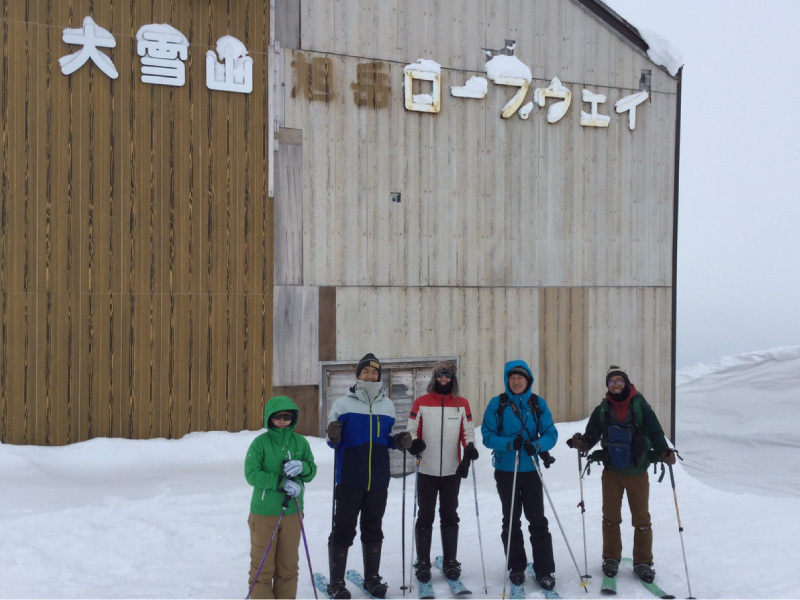 All guests had enjoyed ski/snowboard, snow activities and cultural experience in Asahikawa area. And also constructive exchanges of views and information between overseas guests and local suppliers at the business meeting certainly help us to create new ski packages or unique packages in winter season for near future. 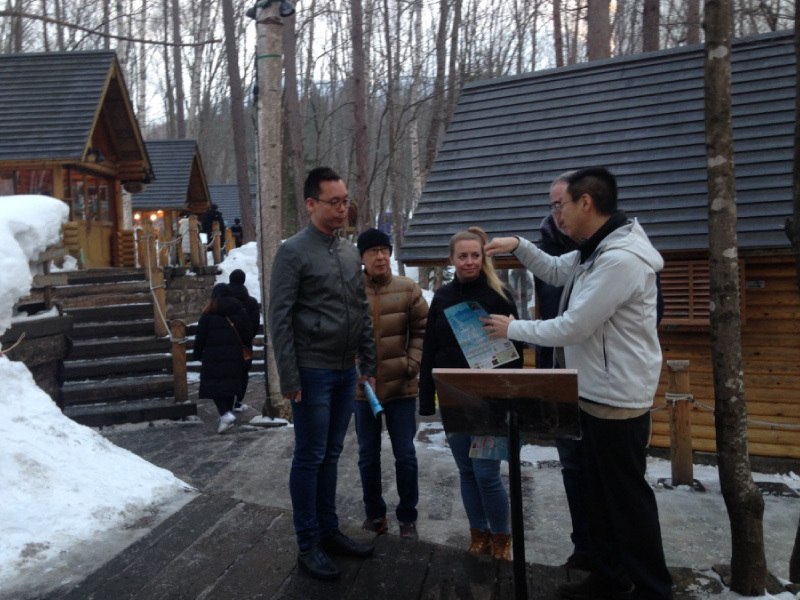 After having lecture about each characteristics of each region in Hokkaido, we all guests had been divided into 8 groups for the inspection of other ski area. We believe that everyone could find infinite potentials of Hokkaido as one of the best snow resort in the world through this Expo! History of Hokkaido Snow Travel Expo was introduced and overview/schedule for this expo was informed to overseas participants at the orientation. After that, attractive characteristics of Asahikawa city and its environs including basic information/transportation/tourist attractions were presented. Participants also enjoyed taking pictures and shopping in crowd of tourists in this museum after the presentation. Place : Asahikawa Design Center. Since Asahikawa is well-known for furniture and wooden crafts, Opening ceremony and welcome party took place in Asahikawa’s symbolic facility “Asahikawa Design Center”. Mayor of Asahikawa city and director general of Hokkaido Transport Bureau had a speech in English at the opening ceremony to give an address of welcome and to introduce about Hokkaido such as history of ski in Hokkaido, current situation of inbound tourism. Welcome party was started with passionate speech by the chairman of Hokkaido Ski Promotion Council. All guests enjoyed Hokkaido’s specialty food, local wine or Sake with watching traditional Ainu performance. Enjoyed Japow Hokkaido in a perfect condition with blue sky and fresh powdery snow fallen during the night before the day! Professional instructors of Kamui Ski Links and other ski resorts gave ski/snowboard lessons to first timers and beginners. Advanced skiers and snowboarders tried variety of slops with instructors and looked very happy with deep, fresh snow around top of the mountain. Presented overview and potential of Hokkaido as a snow resort. Explained why Hokkaido attracts many skiers and snowboarders with showing some data of temperature in winter, amount of snow etc. Also introduced well-equipped facilities & activities in each ski resorts, attractions for after-ski. At the session after the seminar, overseas participants asked some questions regarding secondary transportation around Asahikawa and all over Hokkaido, preparation to host tourists with range of food cultures. Members of Hokkaido Ski Promotion Council explained current situation and their plan or outlook for the future for the given questions. Snow resorts, hotels and accommodations, transportation companies, travel agency, activity providers attended as suppliers at the business meeting. Through 14 business sessions, suppliers and overseas tour agents exchanged their each information and requests each other and had constructive conversations to create attractive packages for the next season. Two experts of media joined this Fam tour. Although the weather wasn’t perfect, both of them enjoyed this unique experience especially SkiShoe hiking. 33 overseas guests attended this program. Brochure (English ver. & Chinese ver.) and e-money card was supplied to the guests. Casual style stand-up party with excellent buffet. The video of participants during this expo was played on a screen. The party was liven up with a live performance. Ended with heartwarming speech by Mayor of Asahikawa city. Guests were divided into 8 groups Inspected ski slops, rooms and other facilities of hotel in each ski resorts.